Ditmas Park's modern gym boasts the latest therapy equipment and a dedicated team of highly qualified professionals. The therapy gym also includes a full-sized kitchen and bedroom to help patients practice and adjust to the daily regimen they will encounter when they return to the physical environment of their home. These rooms hone patients’ skills and readiness, helping them feel confident in their ability to return to daily life and routines prior to leaving the facility. Our gym facility is an integral part of Ditmas Park. With outstanding and new equipment, our team is able to facilitate the appropriate and necessary physical treatment for our patients. 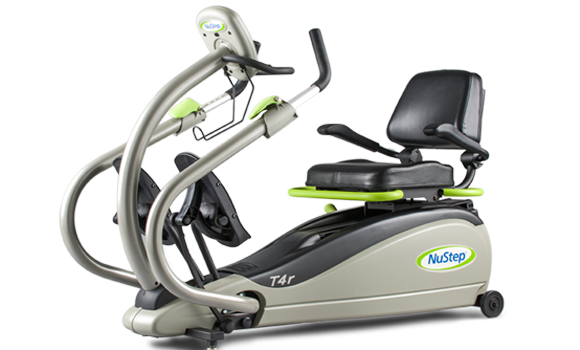 We offer Threadmill, Nu Step recumbent bikes, and arm ergometers, and countless other new, top of the line physical equipment. We are proud to employ the use of Omnistim 500 Pro, a state of the art machine which produces a high voltage pulsed current that is proven effective in facilitating wound healing. We also carry the Omnistim FX2 Pro, which is proven to expedite neuromuscular activity.